As a human who enjoys both cooking and eating, I follow a few select food blogs and bloggers on Facebook, Pinterest, etc. My favorite of all of these is Smitten Kitchen (I want to eat all of the things! Go there. You, too, will want to eat them. ), but there are a few others that occasionally pop out good recipes. One of these is The Pioneer Woman (Ree Drummond). I was following her before she had her Food Network gig, and have gotten some good recipes and suggestions for things like turkey and mashed potatoes. You know... hearty.. pioneer food... or whatever. Today, the Pioneer Woman decided to post a recipe that I guarantee no pioneer was cooking out on the trail. A recipe filled with butter and sugar and lemony, gooey goodness: lemon bars. O Pioneer! Why must you tempt me so? 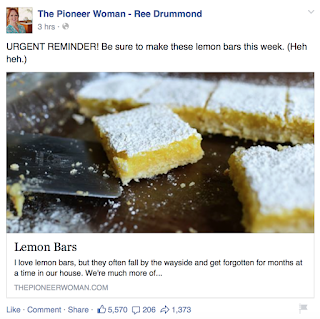 Like the Pioneer Woman, I too love lemon bars. How do I love thee, Lemon Bars? Let me count the ways! Well, first, let me provide a little context. I like sugar as much as the next person. Back when my metabolism and I were 22 and I was running 50 miles a week, my roommates and I would each "do a line" of Oreos on Friday nights (we used them to wash down the Chinese food we'd just eaten). Now that I'm 30 and my metabolism has developed a decided curmudgeonly streak, I'm still not one to turn down a cookie or a scoop of ice cream. I'll even eat half a doughnut when someone brings them to the office. But I've learned to eat my sugar in moderation. But lemon bars. Oh my god, the lemon bars. Let me tell a story. Back in my youthful, care-free, "let's do a line of Oreos" days, my then roommate and I decided to make lemon bars. Not even the good kind. The kind from a box. We popped the 9x13 inch tray of them in the oven and drooled as the scent of lemony goodness pervaded the house. When they came out and cooled into ooey-gooey goodness, we each took one conservative square. And then another. And another. And by the time we were done, we'd eaten the entire pan. In fairness, I may have eaten two-thirds of the pan. In the years since the original lemon bar incident, I've decided it's best to just avoid lemon bars altogether. In my five plus years in Seattle, I've only given into temptation one time, while studying for the bar exam. I'm pretty sure I was crying fat tears of despair directly onto the lemon bar, convinced that I was going to fail so I might as well get fat while eating ALL THE LEMON BARS. It was a low moment. Since them, I've studiously avoided lemon bars. I see them looking luscious and tempting in the display case at the Nordstrom cafe, winking at me from pastry stands at bakeries, beckoning me with their siren song from recipe books. But I don't give in. I'm prepared when I go to those places. I come armed with will power and the knowledge of the whopping calorie counts they pack. I cover my ears and shut my eyes. See no evil. Hear no evil. Eat no evil. 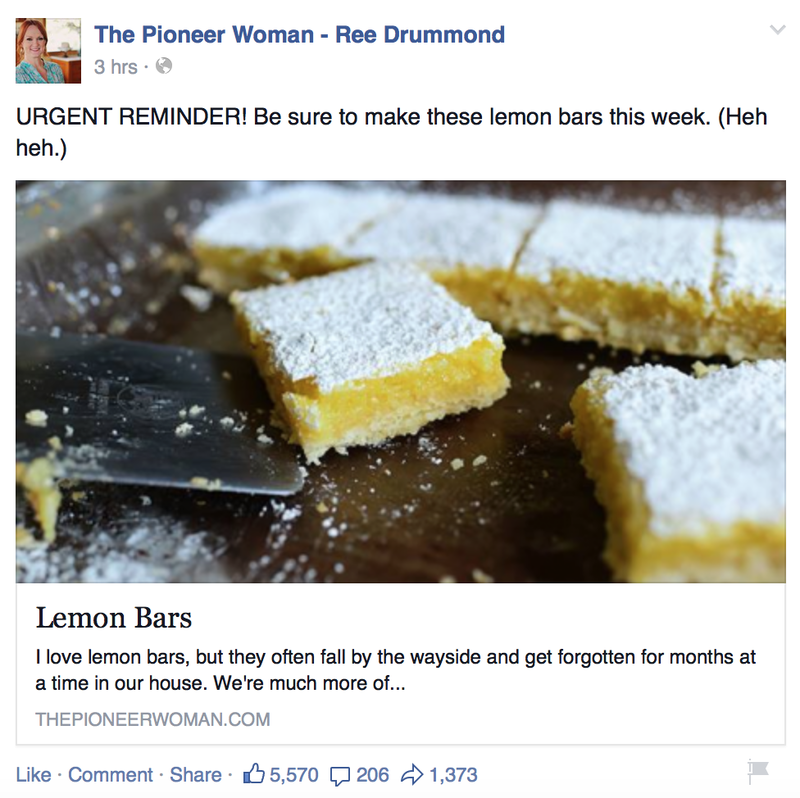 But then... then lemon bars just appear in my Facebook feed. Light and gooey and dusted in powdered sugar, being scooped from the pan, almost as though one is about to come right through the screen onto my hand. But I will not give in. I will not. 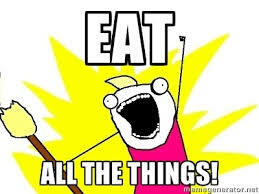 And if I do, I'll just bring them all to the office and make other people eat them.